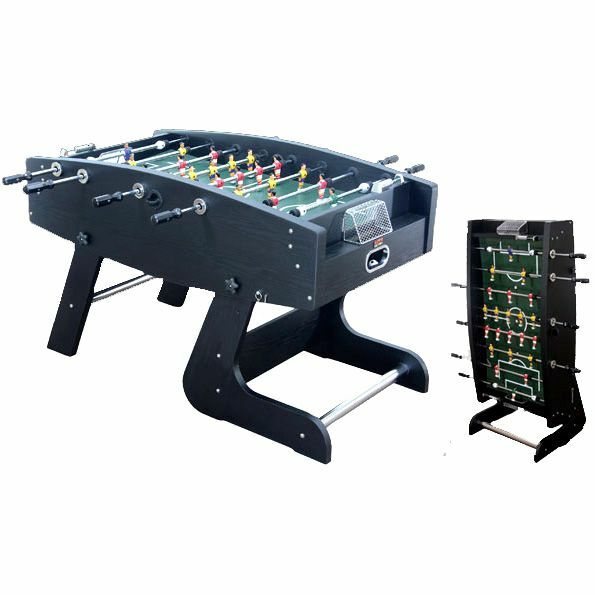 The BCE 4ft 6 Deluxe folding football table is a superb heavy duty football table supplied complete with all accessories, which makes it perfectly suited to serious players. It combines the solid elegant shape and build of the Wembley football table with the folding leg system of the Olympic style soccer table. It also has extra thick dark finish reinforced side rails. Purchased this as a gift for my son, the build quality must be good as this does get well used by heavy handed children and adults!! Great purchase and delivered very quickly! Thanks! for submitting product review about BCE 4ft 6in Deluxe Folding Football Table.